Many years ago, when Danny Meyer's Maialino opened in Gramercy Park, I had a slice of cake for dessert that changed me forever. That was the night I fell in love with olive oil cakes. 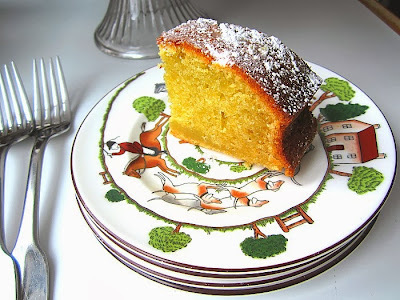 It was so rich, moist and fragrant with oranges, I had to have the recipe. I asked the waiter to please ask the chef if she/he would be so kind as to share this recipe with me. He came out with a napkin scribbled with the ingredients on it. I was so thrilled. However, when I got home and took the napkin out of my purse, I realized they forgot to include the measurements!!! (or did they???). 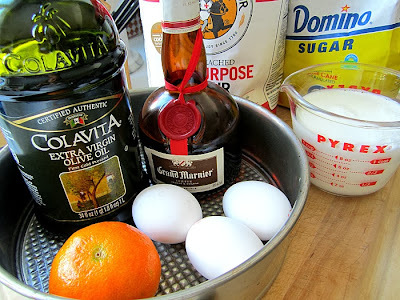 Flour, Sugar, Ligurian Olive Oil, Eggs, Grand Marnier, Milk Orange Juice and Zest, etc. I was so disappointed, and I have been forever trying to replicate that cake since that night. Well, wouldn't you know. Leave it to Food52 to get that recipe and print it for the world to see! 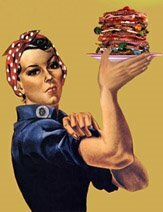 There was my little napkin with the same ingredients, only this time, I have the measurements! Woo hoo! What Food52 doesn't tell you, (because the chef told me in confidence! 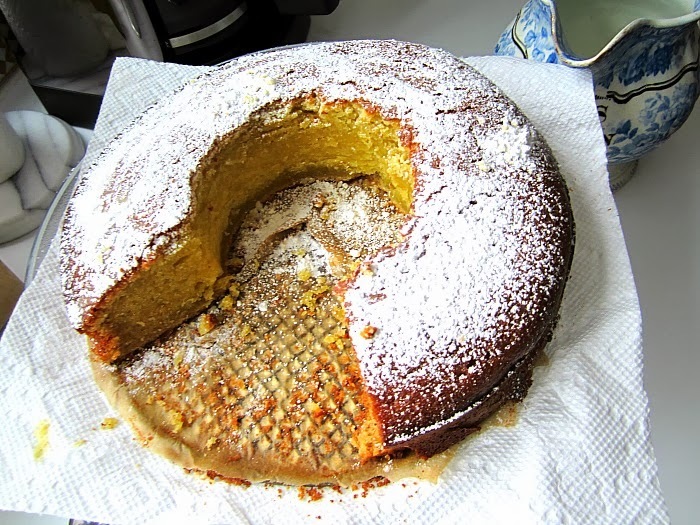 ), the reason this cake tastes so good is that they use Ligurian olive oil. So, you see, I am in the know and have one leg up on them. Well, I was out of Ligurian oil (which I love in dressings), so used my Colavita, a Sicilian mild flavored oil. The recipe seems to use a lot of oil (1 1/3 cups), so make sure you are using a mild tasting one. 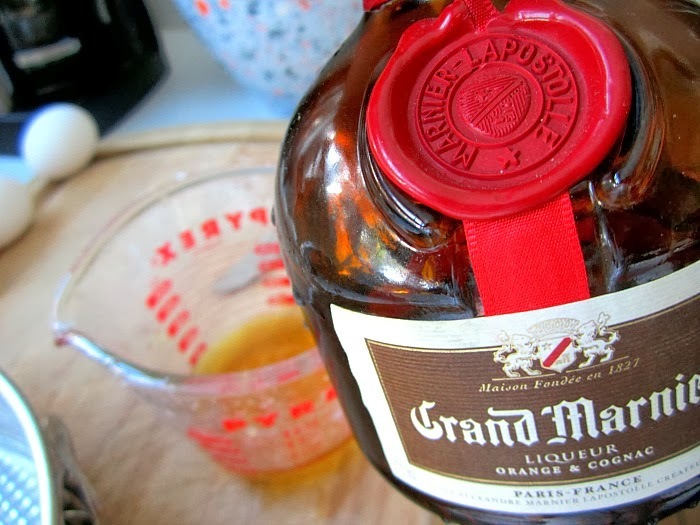 The chef also specified "make sure you use Grand Marnier". If you don't have a bottle, then go to the liquor store and buy one of those mini airplane bottles, the recipe only calls for 1/4 cup. I am going to write out the recipe from Food52, I made it exactly how it was written, but trust me, it was not right. You know I am always honest with you, some would say "blunt". I had my hopes set very high for this cake and the restaurant version is so much better!!! WHY??????? My cake was much too wet in the center, almost uncooked, which I hate, so I tried saving it by cutting a big disc out of the center and we ate small pieces around the sides, and turned it into a ring cake. I took the little center cake and wrapped it in foil and baked it for 15 minutes more, and we had a mini cake. Perhaps 1 1/3 cups of oil is too much? I have made better cakes using much less olive oil. Here is one that will knock your socks off. The recipe calls for baking the cake in a 9" pan with 2" sides. I think a 10" springform would be better, then maybe the cake would've cooked properly in the middle. Not sure what went wrong here, I am a pro when it comes to baking olive oil cakes. I still love this slice when I dine at Maialino, but I am not sure if this is my favorite home version. (it sure seems like a lot of liquid, no?). 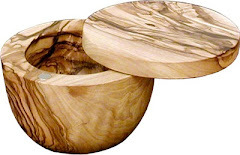 Oil, butter, or spray a 9-inch springform cake pan that is at least 2" deep with cooking spray and line the bottom with parchment paper. In a bowl, whisk the flour, sugar, salt, baking soda and powder. 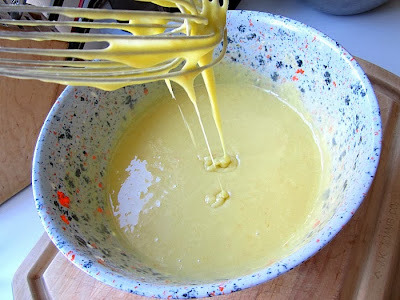 In another bowl, whisk the olive oil, milk, eggs, orange zest and juice and Grand Marnier. Add the dry ingredients; whisk until just combined. Pour the batter into the prepared pan and place on a baking sheet (my idea, so all that liquid wouldn't leak) and bake for 1 hour, until the top is golden and a cake tester comes out clean. Transfer the cake to a rack and let cool for 30 minutes. 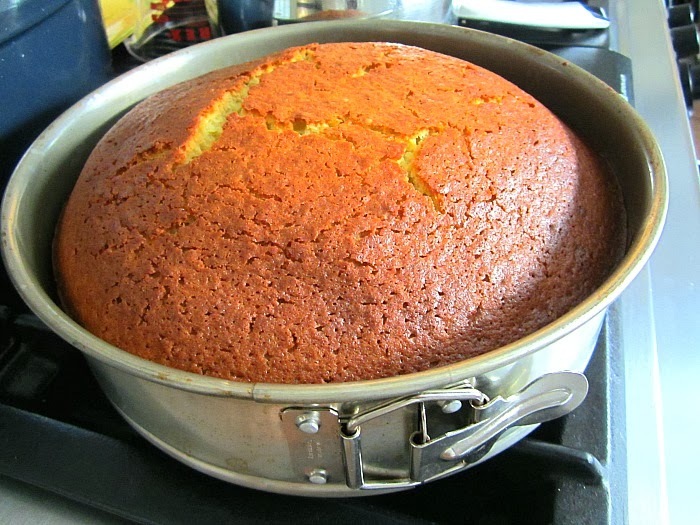 Run a knife around the edge of the pan, invert the cake onto the rack and let cool completely, 2 hours. 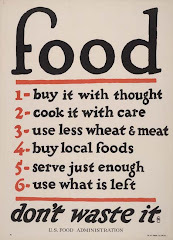 I always wonder if restaurants really give you the right recipe. I have a few cookbooks from places like Rao's and they claim its "exactly" what they make in the restaurants...but there is no way they are really going to give away those secrets! 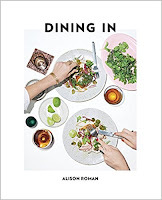 I bet even the Food52 recipe isn't exactly what they're doing at Maialino. Author Notes: Olive oil cake at its best has a crackling crust and an aromatic oil-rich middle, which, if it held any more moisture, would be pudding. Many of their commenters found the cake to be too oily and various tweaks are described. The cake in Food52's photo appears to have been made in a larger pan - the cake is not very tall. Forgive second post, but I just noticed something in your comments. You wrote that you'd placed your baking pan on a cookie sheet to prevent spillover in oven. You may have changed that heat circulation in your oven as well as effectively shielding the bottom of your baking pan from the heat it needed to bake the center of the cake. Nine inches is a good-sized cake. Takes a while for heat to fully cook (from the bottom as well as the top) as wet a cake as this one is. I've made a dozen different olive oil cakes, in fact, I substitute olive oil for butter many times. I feel 1 1/3 cups oil is just too much for a 9" cake. My best cakes call for 2/3-3/4 cup, and they are always moist and delicious. Along with the Grand Marnier, orange juice and milk, this was a soggy mess. Thanks, Stacey. Yes, an experienced baker like you knows when too much is too much. Errors in published recipes do happen. Thanks for your reliable attention to detail. That is what my pound cake always ends up looking like. Kind of shiny and wet inside. Even though the toothpick comes out clean. Do you think that changing the pan type makes a difference? Hmm... I am always wary of "oil" cakes; the result of making one years ago that also had too much oil and was a disaster. How frustrating, and yes, "disappointing"... precious time and costly ingredients. Let us know if you ever figure this one out. I also followed Food52's recipe exactly and mine also came out too wet and raw in the middle. I am glad a seasoned cook had the same problem. Not sure what went wrong, but I like your other olive oil cakes, so will stick with them, they are tried and true. Right now DH and I are attacking a fresh lemon meringue pie (how decadent is that - but it is pouring rain here in SoCal, so we deserve it). 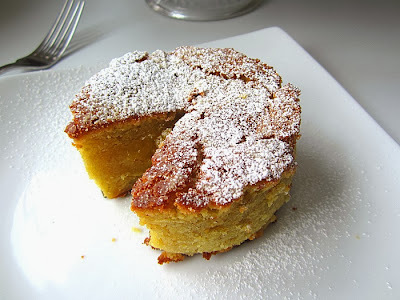 Anyhoo, I will try the olive oil cake in a week or so with 1 cup of oil and 1 cup of sugar. I know there's some Grand Marnier around somewhere - but we are drinking only wine so it may be way in the back of something? Hoping it warms up where you are - and that the rain slows down just a wee bit here. We didn't need to cure our drought in only one day. Stacey - I've had disappointments with some recipes too, even though I've made them three or four times and followed them to the letter. You have to wonder if they really tested the recipe. 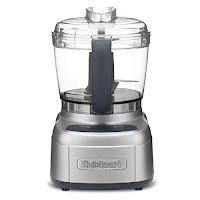 With all the other good olive oil cakes you've posted, I think you should rely on one of those. Couldn't let this recipe die a thousand deaths...made Maialino's version, but subbed in almond flour for half of the total called for. 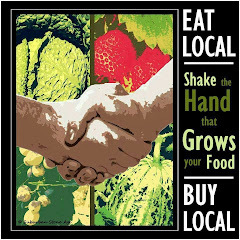 This was a thank you to our neighbor, who raved about it! I think it's just way too much olive oil, go with your gut. Stacey knows best! 1/2 c. olive oil, 1/2 c. milk, zest of 1/3 lemon, 1/2 t. vanilla, 1/2 t. almond extract (from another of your olive oil cakes). Baked in 10" springform pan 1 hour. Crimped two pieces of foil around pan before baking. Result is quiet moist and lovely. Love the cake. I baked in a bundt pan and didnt have that wet center. I let cool and then pour a mixture of powder sugar with hint of grand marnier and orange juice as an icing. Was gone in minutes.